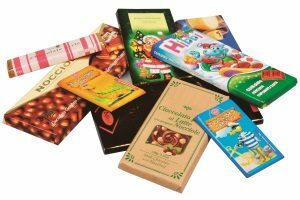 Two step machine for wrapping chocolate tablets and bars, first with aluminium with heat seal on three sides, second with an external wrap with paper or cardboard closed by hot melt. 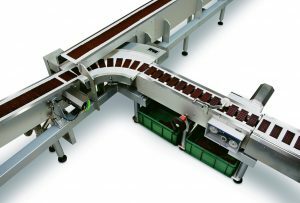 Continuous motion servo driven in-feed belts to assure gentle and accurate product handling for both plain products and for products with inclusions. 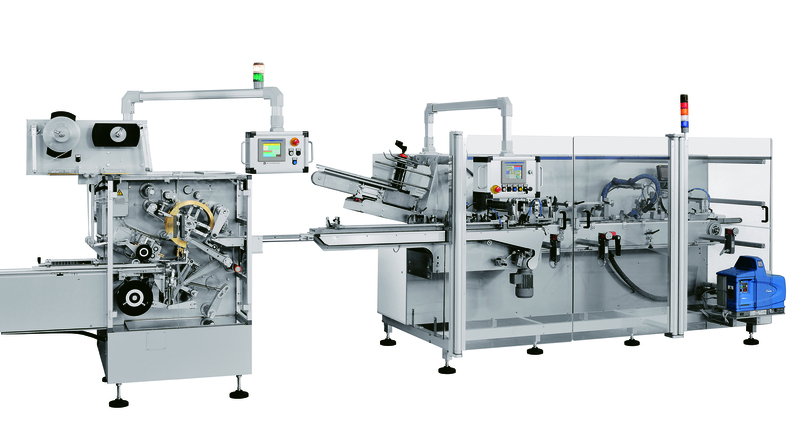 The revolutionary rotary wheel cycles the products through six working stations, performing a tight wrap with perfect foil heat sealing and flat bottom folds. 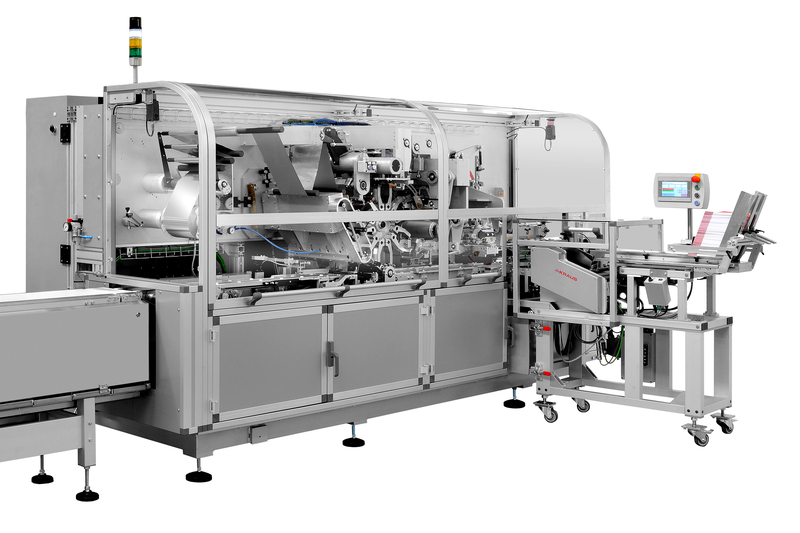 The MC4TB’s superior mechanical and electronical configuration make it today’s fastest “tablet and bar” wrapper available on the market with speed up to 220 products per minute for 100 gr. tablet. 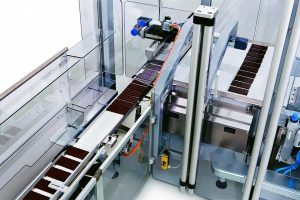 True cantilever design for full access to each working station, and machine lay-out with in-line product feeding and product discharge, offer important system design advantages and floor space saving.